The eponymous Badlu Rangari lane is a tribute to that person, whose services were all the more invaluable just months before King George V and Queen Mary were to visit India in December that year. Badlu Rangari lane is named after a local, Badlu Ansari, who helped keep peace during 1911 Shia-Sunni riots. An unassuming stretch of road in Madanpura bears witness to a local resident’s role in helping calm down tension during one of the worst Shia-Sunni riots in Bombay back in 1911. The eponymous Badlu Rangari lane is a tribute to that person, whose services were all the more invaluable just months before King George V and Queen Mary were to visit India in December that year. 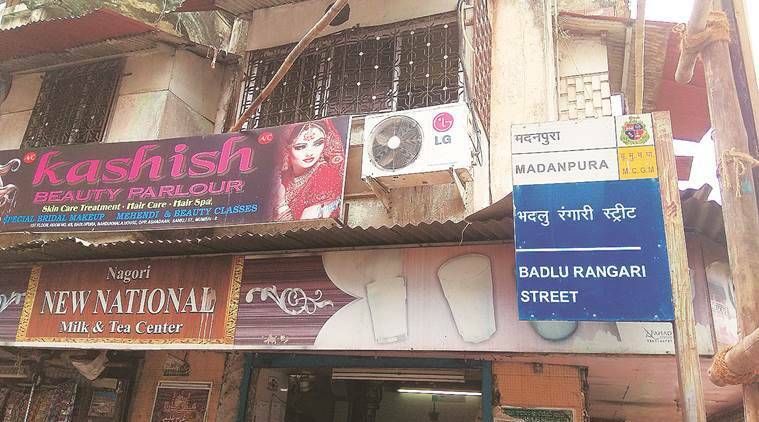 More than a century later, few on the tiny 200-metre stretch located near Byculla station know about Badlu Rangari, whose real name was Badlu Ansari. Edwardes quoted from a letter he had written to the secretary of the judicial department regarding disturbances in the city during Moharram that year. The notification was not favourably received and several colonies did not apply for licences for processions as was the norm. “They were sulking,” Edwardes wrote. One of those who advocated the proper observance of the police rules on Doctor Street was Badlu, who lived in Madanpura and controlled a tabut (cenotaph carried during Moharram processions) that was supported by the Julhai weaver community. That was also the year when, even as tension simmered between the two sects, the British began to draw plans for the Gateway of India, to be erected to commemorate the Royal visit. Now, more than a century later, the nondescript lane is home to some old residential buildings, meat shops and tea stalls, hardly betraying its sensitive history. A few old timers remember Ansari as Badlu Seth. Iliyas Khan, who has resided in the lane for decades, said, “Badlu Seth owned a couple of buildings on the road. He had a very good standing in the community.” Another local resident, Nadeem Ansari, said Moharram and Urs are observed with a lot of vigour by people there. But not many know their street was named after Badlu Rangari, who played a stellar role in ensuring one of Mumbai’s worst riots did not go out of control.